Hun Lee is an Associate Professor of Strategic Management in the School of Business at George Mason University. Professor Lee received his B.S. from Georgia Institute of Technology, M.I.M. from Thunderbird School of Global Management, and Ph.D. from University of Maryland at College Park. Professor Lee's research focuses on competitive dynamics, internationalization, innovations, and corporate social responsibility, and appears in journals such as Strategic Management Journal, Journal of Business Venturing, Global Strategy Journal, and Journal of Management, where he received the best paper award. He also has co-authored a book, Strategy as Action: Competitive Dynamics and Competitive Advantage, from Oxford University Press. Professor Lee teaches courses in competitive and international strategy and was voted EMBA Professor of the Year and MBA Outstanding Faculty. He was the founding Interim Director and Associate Director of the Center for Global Business, Innovation, and Transformation. 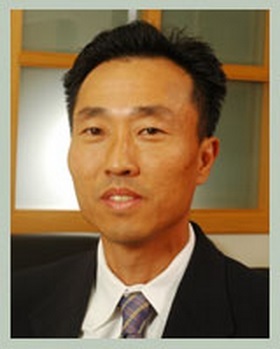 He has lectured in various executive programs, for example, at the World Bank, Department of Commerce-International Trade Administration and Samsung Group in Seoul, Korea, and has been a visiting professor at Yonsei University and Hankuk University of Foreign Studies in Seoul, Korea and the University of Maryland at College Park.